Six generations of the Heritage family have farmed the same land in Mullica Hill, New Jersey since 1853. While past generations farmed apples and peaches, today’s generation is re-tasking the 150 acre estate to grow vineyards for premium wine production. The Heritage family is dedicated to preserving the land and proving a prosperous family business for generations to come. Bill Heritage inherited the pioneering spirit and passion for modernization that defined his forefathers. 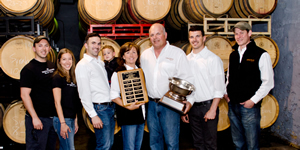 He recognized the potential of New Jersey’s emerging wine industry and with the help of his wife, Penni, established Heritage Vineyards & Winery in 2001. Today, the evolution continues through their children. The oldest son, Richard Heritage, believes in upholding his parent’s commitment to excellence. Richard has taken on the role of Director of Sales and Marketing after graduating from Rutgers University with a degree in business and economics. Richard also worked for Hanna Winery in Sonoma Valley,California where he gained hands-on experience in wine-marketing and hospitality. 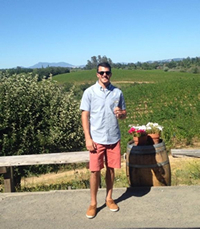 Erik Heritage, college graduate with a degree in business has recently joined the family winery. 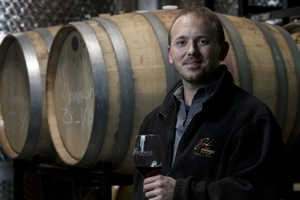 Erik has always had an affinity for wine, the winemaking process and hospitality. Bringing new perspectives to the family business, Erik maintains the traditional hands-on approach and has ambitions to continually refine the guest experience at Heritage Vineyards. 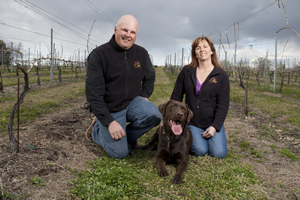 Bill and Penni’s experience with agriculture and their unrelenting hard-working attitude has helped propel the vineyard and wine making program into something exceptional. The goal has always been to deliver the best fruit possible from William Heritage Winery and uphold the family’s agricultural tradition.